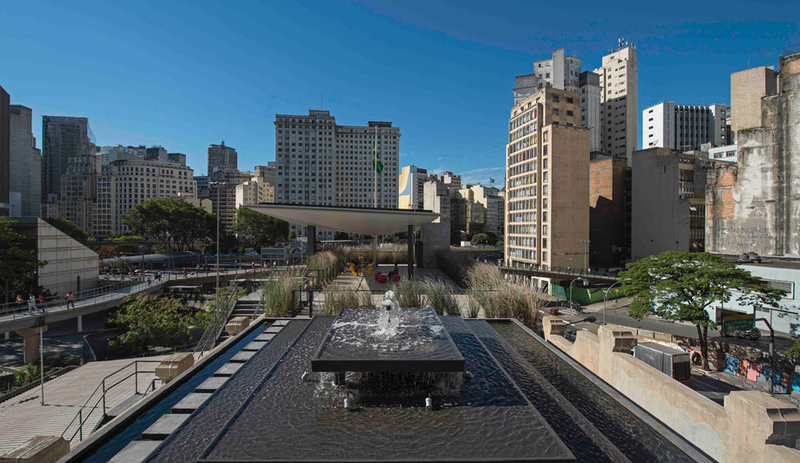 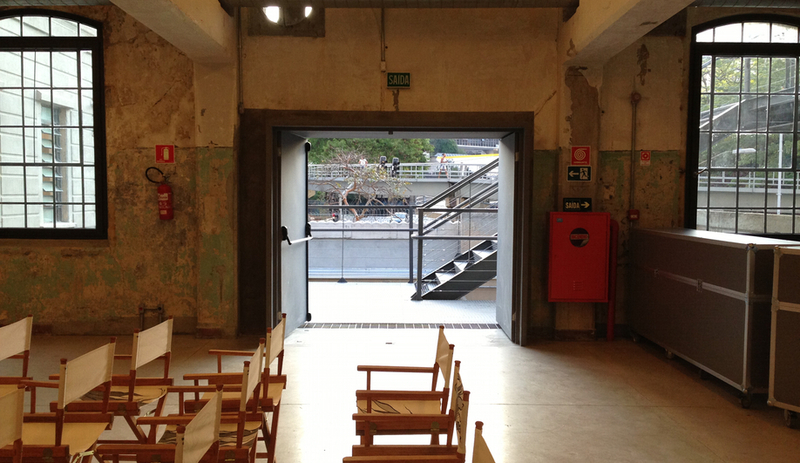 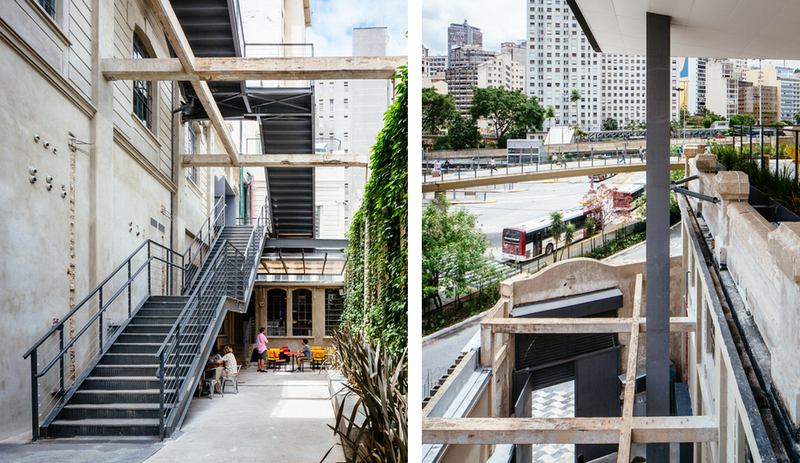 In a busy downtown square of São Paulo, Red Bull’s latest cultural arts centre, by Triptyque, is easy to spot. 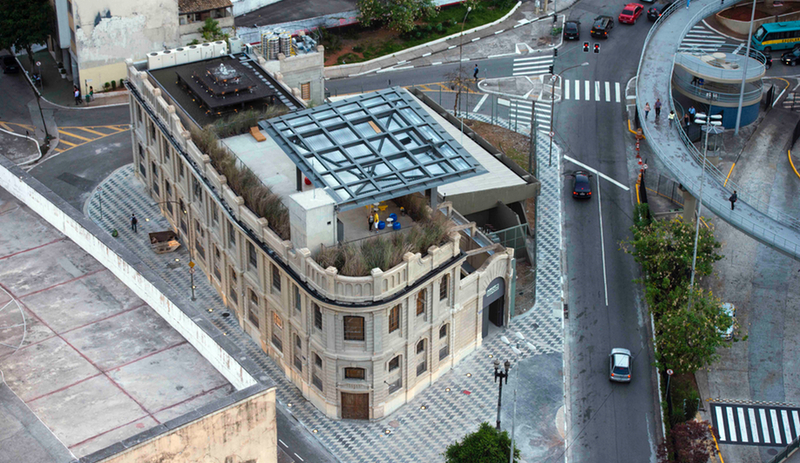 The French-Brazilian architecture studio renovated the 95-year-old building (formerly the Tramway, Light and Power Company) to highlight its historic architectural features – particularly its decaying façade – while inserted a few modern interventions. 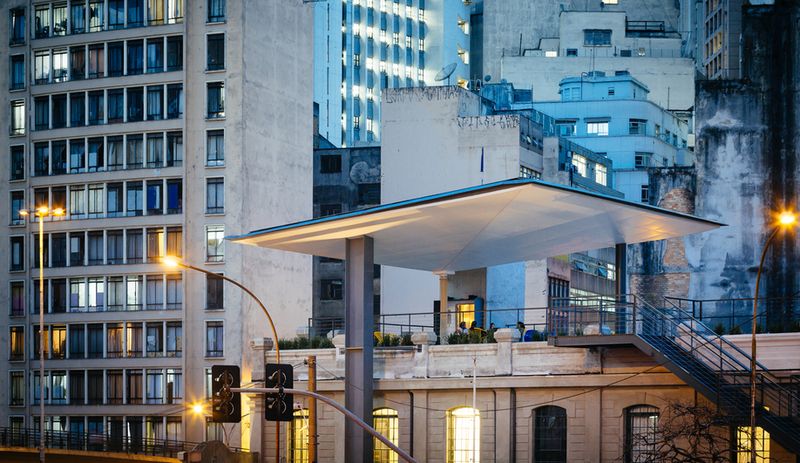 The studio, run by Grégory Bousquet, Carolina Bueno, Guillaume Sibaud and Olivier Raffaelli, installed a sleek steel sheet canopy on the rooftop terrace; nicknamed “Leaf,” it shades the open-air space and broadcasts the building’s new life as a cultural hub. 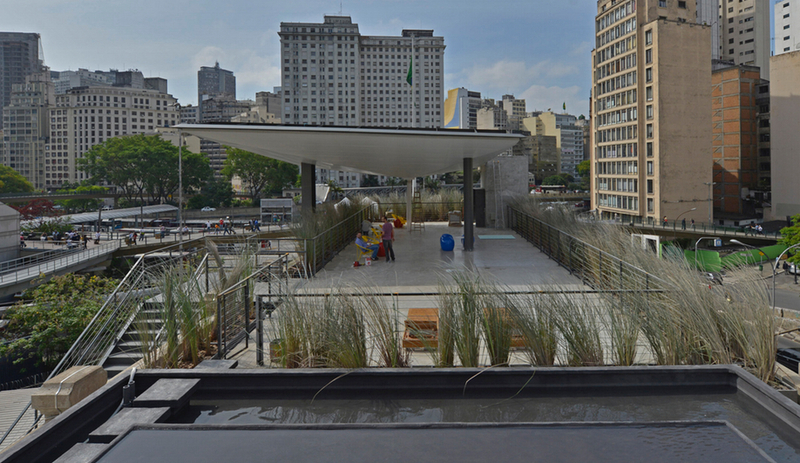 It also collects rainwater that is used to cool the building. 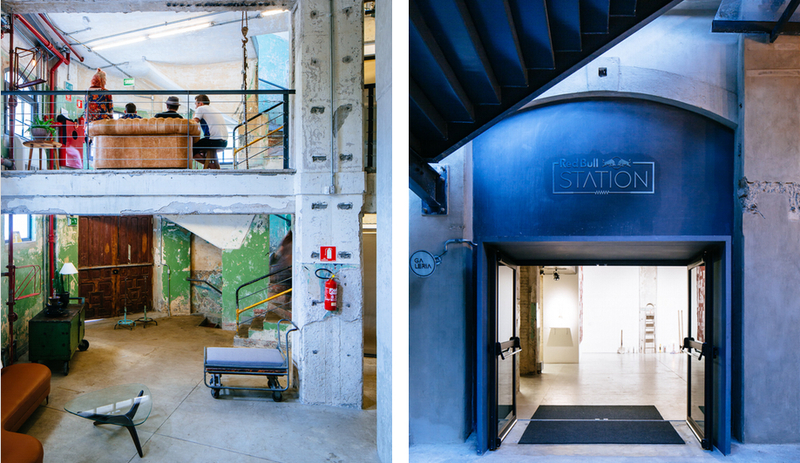 Inside, the five-storey building is an array of polished concrete volumes, their century-old walls and ceilings proudly displaying their flaking paintwork while , industrial lighting fixtures play up the minimal, modern feel. 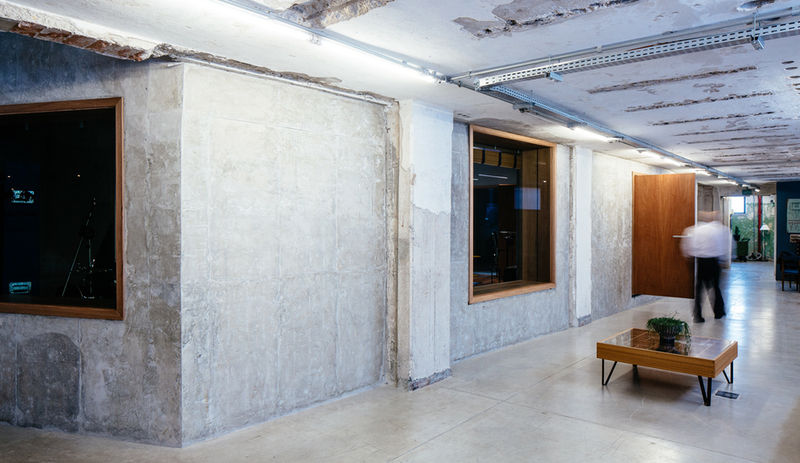 The basement hosts an exhibition space and music rehearsal rooms, while the entrance, main gallery and freestanding concrete music studio (the new home of Red Bull’s Bass Camp music program) are located on the main floor. 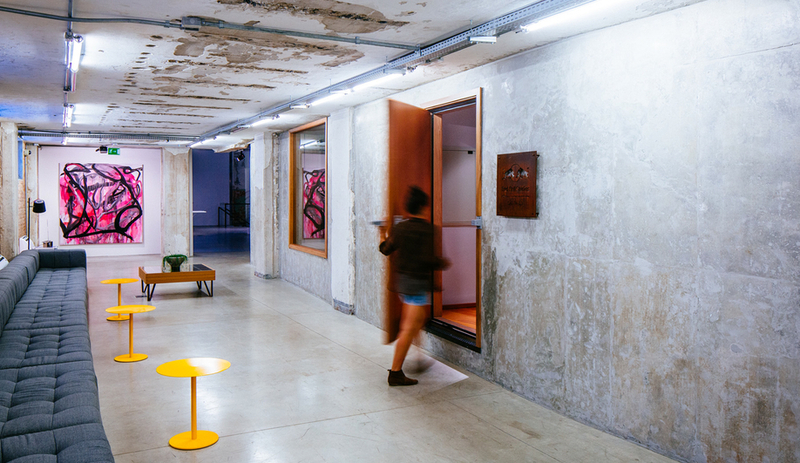 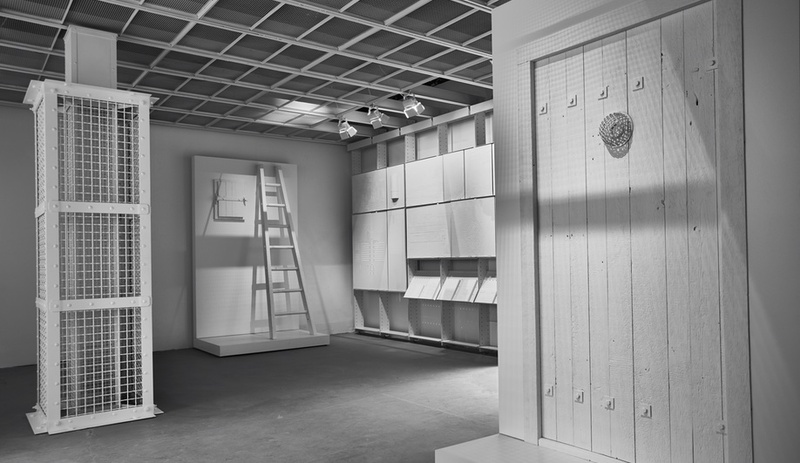 On the upper floors, six artist residencies are connected by a skirting pop-up gallery space, aptly called the “Gallery of Transition,” that leads visitors through the workshop spaces. 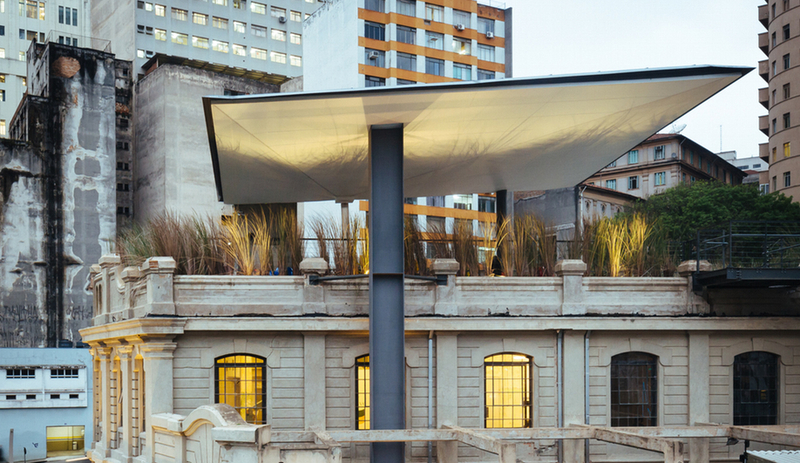 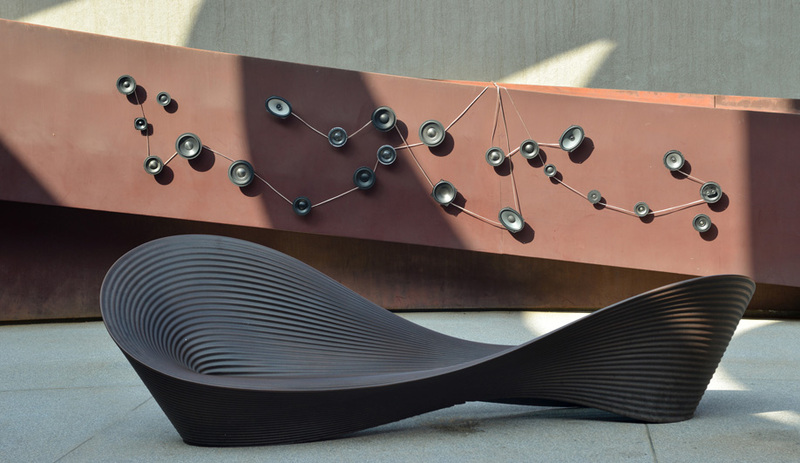 A black steel staircase connecting the levels runs along the building’s southwest side; the ambient under lighting under the steps allows the movement of visitors and workers to animate the transition spaces as much as the galleries.